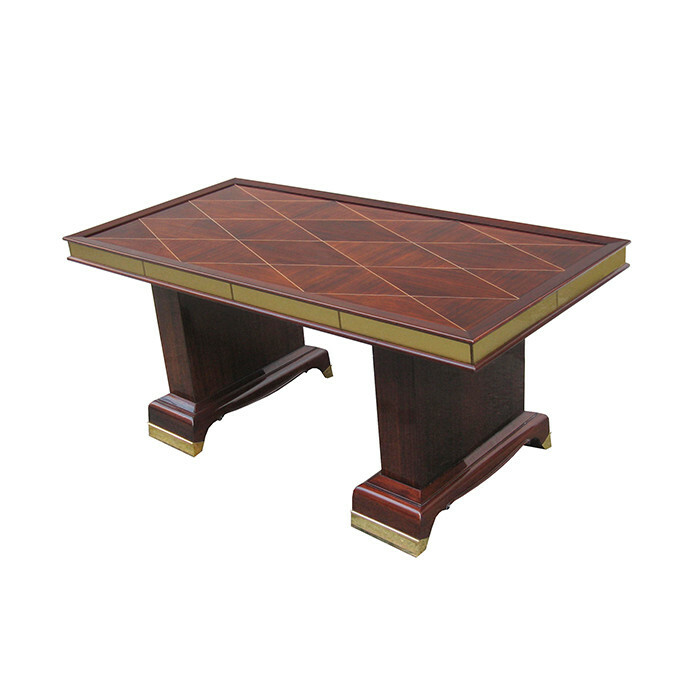 A fine Art Deco cocktail table designed by Jean Desnos. Palisander with marquetry patterned top. Table border surrounded by eglomise glass panels and patinated bronze sabots. Dimensions: H:22 W:50¼ D:24¼ Inches.